VampireTech Inc., an Information Security solutions company, has this month expanded its Asia Pacific operations to Singapore with the help of company registration specialist Rikvin. The global company headquartered in Austin, Texas, bolstered its Asia Pacific operations to offer cost-effective and innovative Information Security solutions to businesses in the city-state as well as the region. 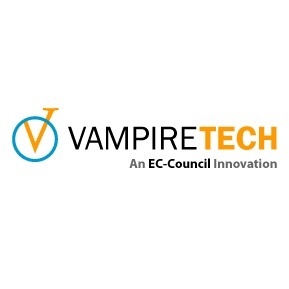 VampireTech aims to help organizations of all sizes manage security risks such as information theft from hidden threats including malicious attacks from hackers. This in turn will help companies safeguard their esteemed brand names and reputation. Its Solutions Portfolio offers an end-to-end suite of products and services branded as VampireShield. The modularity of the suite allows independent and customized solutions and are branded as VampireScan, VampireSeal, VampireSecure, VampireProtect and VampireU. According to World Economic Forum’s (WEF) 2013 Global Risks report, cyber attacks is one of the top 5 global risks in terms of likelihood last year. In the 2012 WEF Pathways to Global Cyber Resilience report, WEF stressed that cyber threats are not only complex but numerous. Attacks against business targets such as distributed denial of service (DDoS) and the defacing of websites for political and policy protests have become commonplace because the risk of prosecution has been low. Information security management is at the top of the list for most IT security professionals and business owners. However, it can get expensive and implementing change can be extremely time consuming. In addition, the unwitting actions of employees and business partners may expose vulnerabilities to hacktivists, which in turn result in data exposure, reputation damage and loss of trust. In spite of being aware of the threats, many small to medium sized enterprises (SMEs) refrain from taking the steps necessary to protect their applications, websites and infrastructure from sensitive information leakage and theft. “As many businesses connect to their customers and conduct business online, having in place the right safety net can go a long way in protecting a company’s reputation and good name. We are optimistic that VampireTech will continue to create value for its clients and look forward to its success in Asia,” added Mr. Satish Bakhda, Head of Operations.